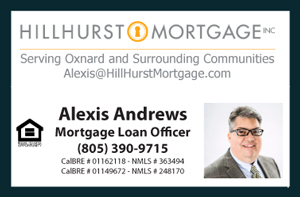 Get a Full Home-Buyer Guide as part of your Free Real Estate Consultation in Oxnard CA. Here is a summary of one of the aspects of financing a home that we will review during our Free Consultation. Gather as many documents as you can for all parties in the transaction and if you have some documents missing that's ok. We can get them later. Your credit history is one of the principal measures used by a lender to determine your interest rate. The better your credit, the better lending terms your bank or lending institution will be able to offer you. A higher interest rate translates into a higher monthly mortgage payment, and so your credit score will directly affect how much money you can borrow and at which homes you should be looking. You should be aware of what information is on your credit report by obtaining and reviewing copies of your credit report from the three main credit report agencies. Improving any of these areas will help you qualify for better lending terms, so keep that in mind. Call or text me directlty at (805) 444-6366 for your next Free Consultation to buy or sell and get a free Guide.